I can’t keep my pencil off a blank sheet of paper for long, and my writing habits are as eclectic as my reading tastes. 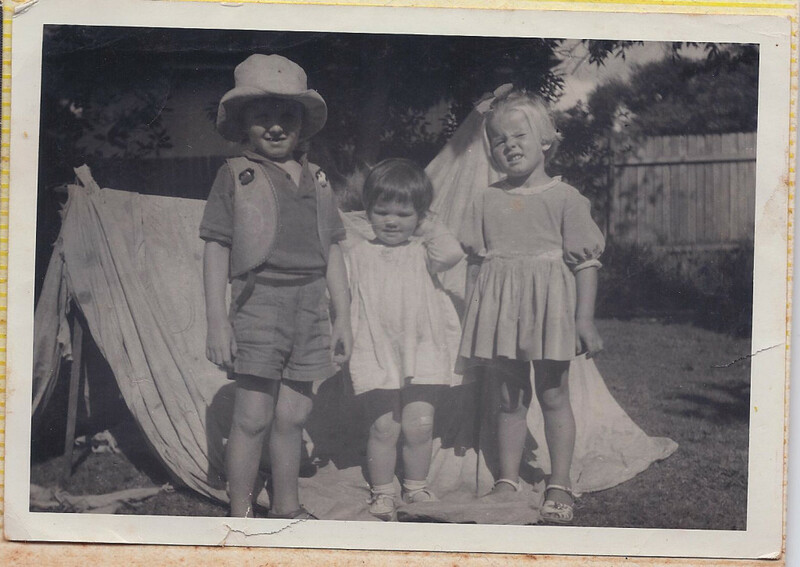 Me (right), my brother and little sister – circa 1966. You can see by the haphazard tent construction that none of us were destined to become architects or engineers! My latest work in progress is about a pirate… I can’t wait to see what he gets up to! I’m also partway through a novel for young adults (with another lurking in my bottom drawer, raring to go). I’ve illustrated (in part or in full) all my picture books, but I’m also always open to partnerships with other authors and/or illustrators. In July 2013 I entered my first writing competition – the Kids’ Book Review Award, and was thrilled to win best unpublished picture book with my manuscript Where Do Odd Socks Go? Three of my other books were Highly Commended.